ProActive Rehabilitation and Health is a practice ran by Exercise Physiologists, who provide Exercise Based Rehabilitation Programs for a multitude of injuries and health conditions. Our philosophy is “through the education of appropriate movement we can improve the quality of a person’s life, and we do this through specialised exercise programming”. Clients who have sustained injuries in the workplace, or as a result of motor vehicle accidents (MVA), are provided programs that focus on the re-education of efficient movement..
Programs are developed to assist clients with disabilities through the NDIS and can be fully funded to aid with the financial costs associated with meeting their rehabilitation goals.. This program is designed to provide exercise and rehabilitation advice for clients with Chronic Conditions. These include diabetes, obesity, musculo-skeletal injuries..
Mark has specialised in Exercise Physiology since 2000, developing areas of expertise with injuries to the lower back, shoulders, neck and knees. 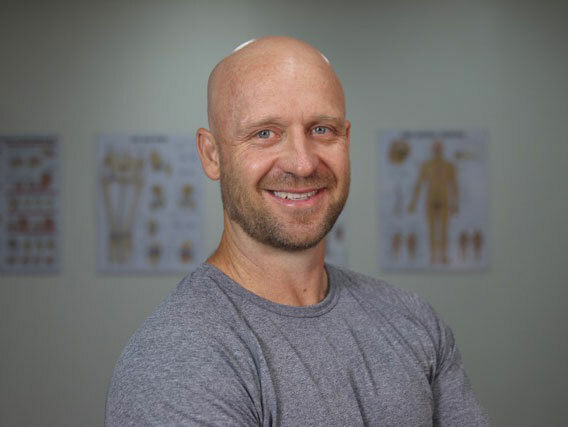 He has extensive experience in dealing with clients with complex neural conditions and has an interest in assisting clients with Post Traumatic Stress Disorder (PTSD), anxiety and depression in coping with their condition through the use of effective exercise techniques. Exercise Physiologists are university qualified Allied Health Professionals who provide specialist treatment through exercise prescription. They have extensive knowledge of the human body and movement analysis for special populations and injury management.An Exercise Physiologist is a qualified specialist in the management and treatment of chronic injuries and also deliver strategies for disease prevention. Why choose proactive rehabilitation & health? Our staff are trained and work under Mark Goswell, who has been treating clients since 2000. He educates Exercise Physiologist graduates. All clients are educated on how to manage their injuries through exercise on a long term basis. We explain the purpose of the exercises. Our AEP’s train clients on methods to re-educate their movement to allow for greater body awareness and improved mobility. Why do proactive rehabilitation and health’s conditioning programs work? Our programs follow 3 Core Principles that enhance movement and improve function while unloading injured areas and developing skills for self managed rehabilitation. This reduction in pressure to the injured sights provides greater range of movement, stability, and strength to achieve an increase in function.